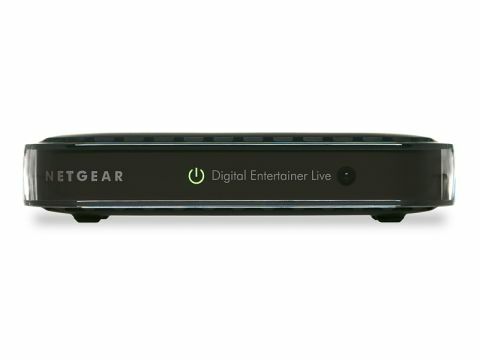 The Netgear EVA2000 compact media player resembles one of Netgear's popular routers. It connects to one of these via Ethernet, and to your TV via HDMI. The EVA2000 then allows you to view content stored on your network or USB devices, and among the formats claimed to be supported are Matroska, MPEG-1/-2/-4, DivX/XviD, JPEG, Dolby Digital, WMV, MOV, FLV, MP3, WMA, WAV and M4A. Not enough? An impressive quantity of online content is also accessible. The 'VuNow' service provides access to many worldwide broadcast channels (including BBC/ITV/C4/ five). Pictures and sound from the UK channels are quite good, but Freeview simulcasts are noticeably superior. Thanks to UPnP/DLNA, the EVA2000 will play your own media if it's stored on NAS boxes equipped with a media server or PCs running software like Windows Media Player 11 and Twonky. MP3, MPEG-1/-2, JPEG and standard-def DivX all work fine. Depending on the source, AV quality can be excellent. Net radio isn't catered for, nor is integral wireless support – Wi-Fi is available via an optional 'dongle'. One feature that will put off a few is that the HDMI output is limited to 720p and not 1080p which is the output of choice for high definition content. Files with incompatible extensions don't show up in the content lists, and despite the claimed support for H.264 Matroska, .mkv files meeting this spec didn't appear. None of the hi-def content I tried (for example, 1280x720p DivX) would play. So it's upscaling only, folks. There's a keyword search, but it only works for online content, not your own files. Content lists are slow to access and aren't cyclical – reaching the bottom of the list doesn't automatically 'loop' back to the top. You'd better organise your stuff well, buddy!